Sponsored: Beachside gazebo? Check. Great food? Check. Luxury surroundings? Check. A restaurant voted “Most Romantic Restaurant in Abu Dhabi” from year-to-year should be just the ticket to the ultimate Valentine’s Day celebration. 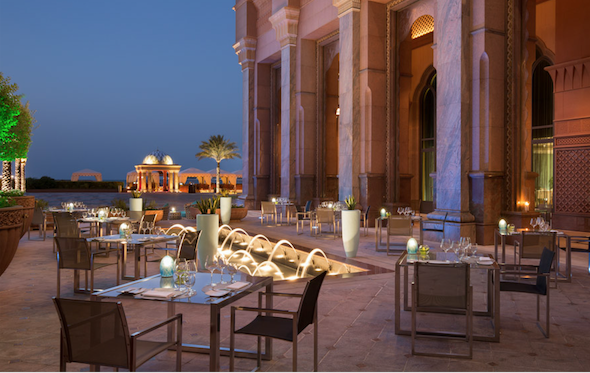 BBQ Al Qasr offers a seaside retreat for diners who enjoy elegant fare served alfresco. 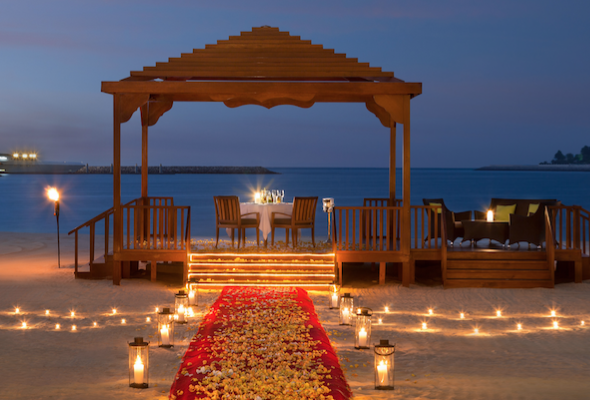 The restaurant features romantic gazebos set in the sand steps from the azure Arabian Sea with some of the city’s best steaks and seafood served by the sea. 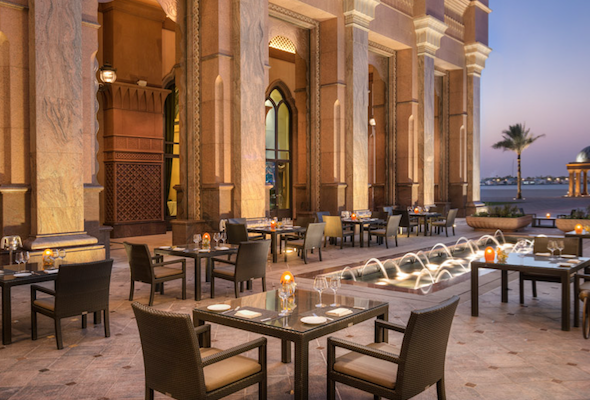 This Valentine’s Day, BBQ Al Qasr is offering a special five- or three-course meal including one glass of sparkling wine with succulent cuts of meat as you unwind in a beachside gazebo. Sayad, meaning ‘fisherman’ in Arabic, is the award-winning seafood restaurant at Emirates Palace. This Valentine’s you and your partner can enjoy four tasteful courses of marine seafood delights, complete with oysters, and a glass of bubbly while enjoying its beautiful seaside location. Show the one you love how much you care with a lavish four-course Italian experience at Mezzaluna. The evening begins with a contemporary take on the classic Caprese, followed by grilled scallops, your choice of seabass or slow-cooked wagyu and wrapping up with a special praline pudding. For a special gift this Valentine’s, order an expertly designed heart-shaped cake, or a selection of gourmet chocolate from Le Café.